The new IDZ is expected to give a major boost to the country's industrialisation and job creation drives, while attracting both local and foreign direct investment into the country. "Our objective is to develop the Saldanha-Northern Cape linked region in an integrated manner through rail and port expansion as well as back-of-port industrial capacity," Zuma said during Thursday's launch. "Our strategy is also aimed at strengthening the maritime support capacity to create economic opportunities from the gas and oil mining activities along the African west coast, as well as the expansion of iron ore mining production and beneficiation in the Northern Cape." Trade and Industry Minister Rob Davies said in a statement ahead of Thursday's launch that a feasibility study had shown that the Saldanha Bay IDZ could potentially contribute 86% to the gross geographic product of the Western Cape and create in the region of 12 000 new jobs. 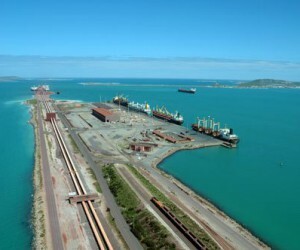 "Additionally, the Saldanha Bay IDZ is likely to attract foreign direct investment worth approximately R9.3-billion over 25 years", Davies said. The study also found that Saldanha Bay is strategically located to serve as a service, maintenance, fabrication and supply hub for the booming African oil and gas sector, due to the increasing number of oil rigs requiring maintenance, and their traffic flow passing from the west to the east coast of Africa. Last month, German company Oiltanking GmbH entered a joint venture with a number of South African companies to build a commercial crude oil storage and blending terminal at the port of Saldanha. The company said that Saldanha was an excellent location for a crude oil hub, "as it is close to strategic tanker routes from key oil-producing regions to major oil-consuming markets". Davies noted that the oil and gas sector was one of the priority sectors of South Africa's Industrial Policy Action Plan (IPAP), adding that the IDZ would also help to advance the objectives of the country's National Development Plan (NDP). Zuma said there was no doubt that, if effectively implemented through well-coordinated stakeholder mobilisation, the Saldanha Bay IDZ project would "generate income, create jobs, grow the tax base and be a net generator of foreign exchange earnings. "It is estimated that overall direct and indirect employment creation will be around 25 000 over a period of 20 years. It is expected to generate around R62-billion in foreign exchange. We are determined to turn these forecasts into reality," Zuma said. Journalist Donwald Pressly, in a Business Report article published last month, wrote that a pre-feasibility study carried out three years ago by Western Cape investment promotion agency Wesgro found that Saldanha had potential for three industrial clusters - "a renewable energy production and manufacturing cluster, an oil supply base serving the oil and gas sector, coupled with a maritime ship building and repair cluster, and a steel and minerals production and manufacturing cluster". 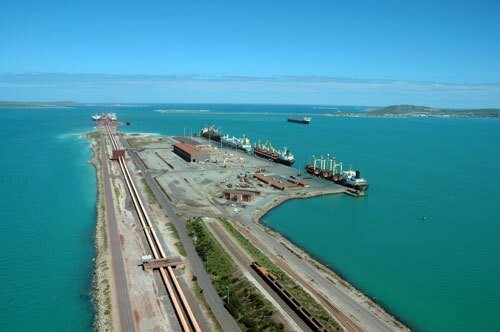 Pressly quoted the SA Revenue Service's definition of an IDZ as being "a purpose-built industrial estate linked to an international air or sea port which might contain one or multiple customs-controlled areas tailored for manufacturing and storage of goods to boost beneficiation, investment, economic growth and the development of skills and employment". South Africa, he noted, currently has three operating IDZs - at Richards Bay in KwaZulu-Natal, and in the Eastern Cape at East London and Coega, near Port Elizabeth. Zuma said the success of the country's special economic zones and industrial development zones was dependent on the backward and forward linkages that they created and fostered with companies operating outside of these zones. He added that that education and skills development would be central to the success of this IDZ, and announced that the departments of Trade and Industry, Economic Development and Higher Education and Training would be collaborating to promote skills development in Saldanha Bay and its surrounding areas. "These departments will respond to the skills requirements of the industries being targeted to invest in this IDZ," he said. The IDZ is one of the 18 strategic integrated projects (SIPs) of the Presidential Infrastructure Coordinating Commission (PICC), the inter-governmental body that is overseeing South Africa's infrastructure drive. The commission is chaired by Zuma and includes ministers, deputy ministers, premiers, metro mayors and representatives of the South African Local Government Association.